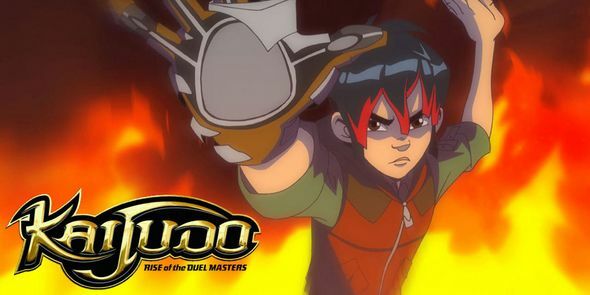 You will Watch Kaijudo: Clash of the Duel Masters Season 2 Episode 14 online for free episodes with HQ / high quality. Stream cartoons Kaijudo: RIse of the Duel Masters Episode 40 The San Campion Hexagon. Ray, Gabe, and Allie are in danger at sea while investigating The San Campion Triangle during a fishing trip with Grandpa Okamoto, Mr. Wallace, and Mr. Underhill. Meanwhile, a duel ensues between The Choten (whose real name is revealed to be August) and Saguru.